Huzzah! 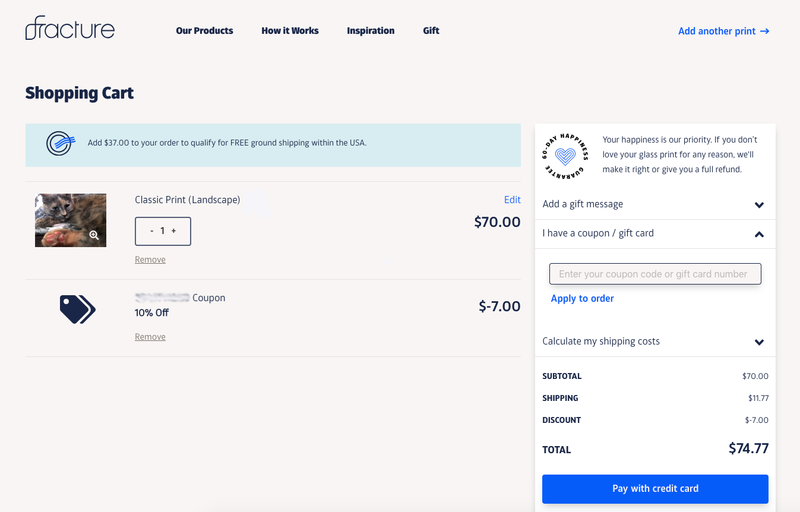 Your coupon should now be visible in your cart, saving you a nice chunk of change! 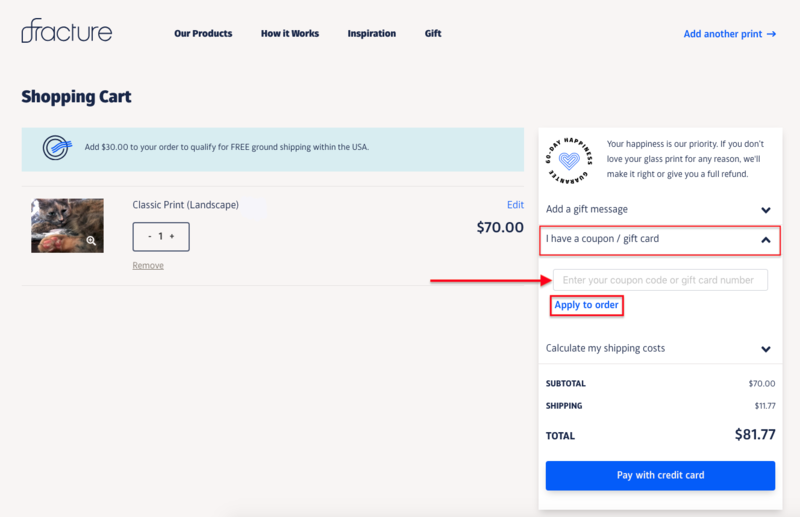 If any issues arise while trying to apply a coupon, let us know at support@fractureme.com prior to placing your order. We’ll be more than happy to help!